At Cygnus UK we provide a professional aerial imaging service tailored to your needs. Based in south Wiltshire, we are fully insured (EU Regulation 785/2004 compliant) and CAA approved (PfCO number 5590). 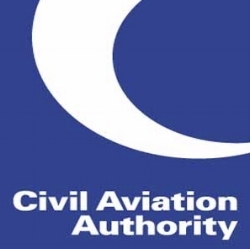 Cygnus UK is a member of the Drone Safe Register. We use the latest UAV (drone) technology to produce high-definition photos and video. In addition, we can now offer elevated imaging by means of a specialist pole camera system (up to 10 metres) for those situations where the use of a drone is not practical or viable. From initial contact to completion, we will keep you informed at all times. Our top priority is safety and we will ensure that all risks are assessed and mitigated by adhering to our Operations Manual. All jobs are individually priced following a free, no-obligation, assessment. Listed below are just a few of the many types of aerial photography services we can offer. Real Estate and Property Marketing - if you are selling a property, or just want to have a unique record of your home, aerial photographs or video can provide that extra "wow" factor. To find out more about using UAVs to sell your home click here. Building inspections - the use of a drone to inspect buildings can quickly pinpoint any problem areas and avoid the need for expensive scaffolding and the dangers of working at height. Please click here to see how an aerial inspection could benefit you. Weddings and other social events - aerial footage can provide an added dimension to your special day. Sports - if you have a passion for a particular sport or pastime drone footage can help to record and share it. Agriculture and estate management - a bird's eye view can assist in identifying areas of poor crop growth as well as potential boundary weaknesses. Tourism and leisure - why not consider aerial images as part of your business promotion? Archaeology - an aerial survey can reveal many details not visible from the ground. Very pleased with elevated photos of our house to help sell it as looks small from the front but goes a long way back. Very pleasant, friendly man who came on a nice sunny day & took several photos so we had a choice - we are very pleased with them. Would thoroughly recommend him. Thank you Steve for a very professional job.